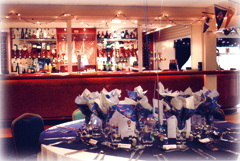 Are you looking for a friendly, flexible venue with good facilities? We can help you plan your special day whatever the occasion you wish to celebrate Our unique, traditional and private venue offers you a place to enjoy your special family occasion. Set back from the road, and with private river frontage, our Club is a traditional yet totally private venue for any family celebration. 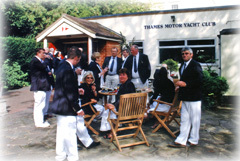 Founded in 1930, we are one of the oldest motor boat clubs on the Thames. Located on the first non-tidal reach of the Thames, just next to Hampton Court Bridge, we are conveniently placed for all road and rail transportation, and have on-site secure parking for approx 30 guest cars. Our Club Lounge has a charming nautical feel, with integral bar and dance floor. We pride ourselves on our customer service and can assure you of a unique, relaxed and welcoming venue for your special family celebration. Stylish and warmly inviting, air-conditioned with its own large bar and well-appointed facilities to cater for functions seating up to 90. 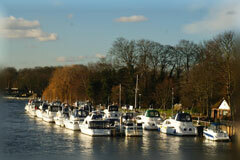 In the heart of Surrey with easy access from Central London, see Maps for directions.